Bill Doherty grew up on the Indian River in Delaware, and boats were a part of his life from the beginning. As an adult, his interest never waned. 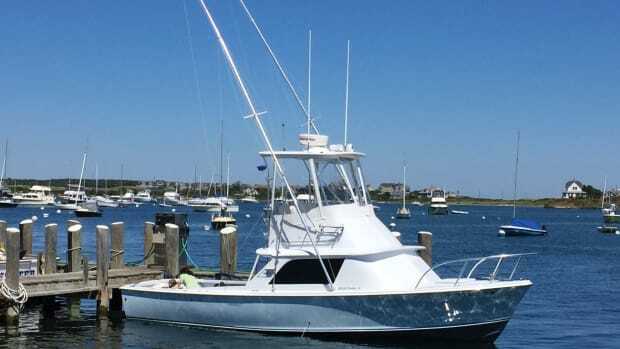 Doherty earned a captain’s license and owned a fleet of fishing boats of his own: a Blackfin 36 Express, a 45-foot Viking, a Regulator 26. “I do like to fish,” he says. So, when Doherty went looking for another boat about a year ago, he had two seemingly divergent parameters. He wanted a boat that would fish 100 miles off the Delaware coast, chasing down tuna and marlin with a cockpit full of friends. 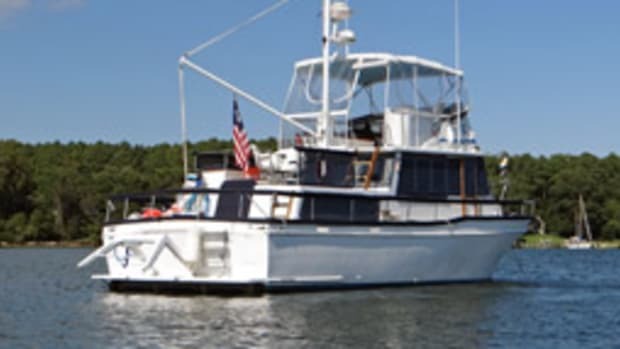 He also wanted a boat that he could run down the coast to Florida and the islands for the winter, riding in comfort with his wife, kids and grandkids. In December 2017, he went back to a familiar name: Henriques, the semi-custom builder in New Jersey. 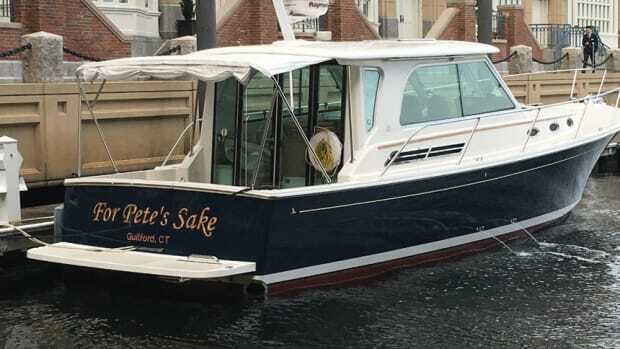 Doherty bought a 2011 42-foot Henriques Flybridge in near-pristine condition for around $500,000. Doherty chose the sportfisherman model for its versatility. 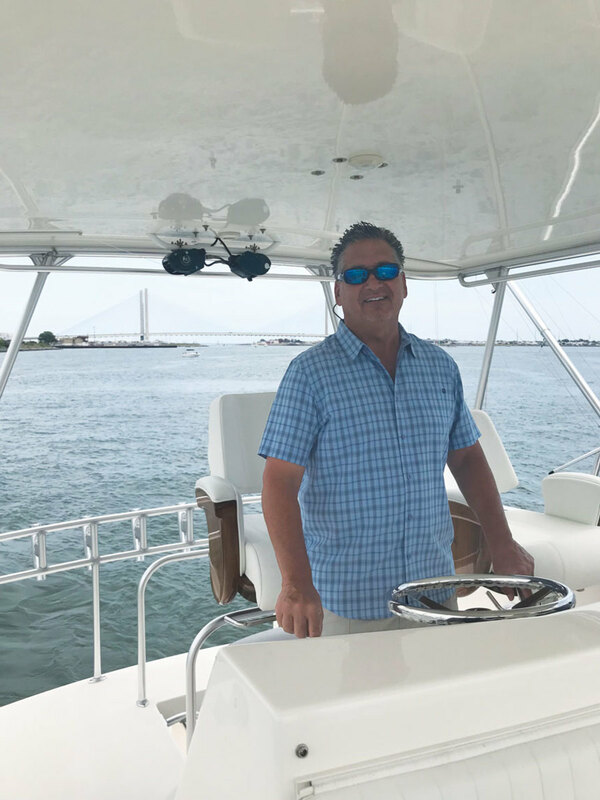 “I wanted that flybridge so we could cruise in more comfort,” he says. “The layout provides much more interior accommodation. I have a fairly large family, and when I cruise, I like to take some of them with me. Here I have a full stateroom with a centerline queen [berth]. The two bunks are oversize, and the settees in the salon are extra wide, so you really can sleep on them. 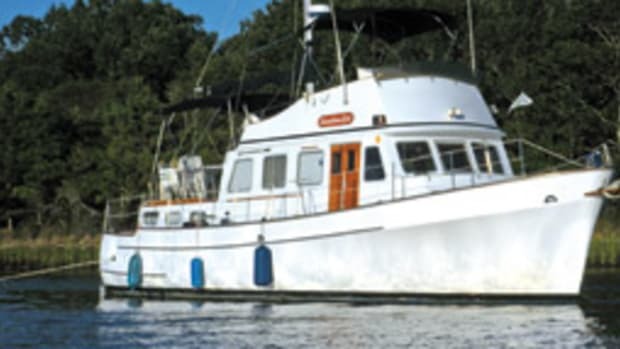 For a couple, it’s a nicer boat to live on board for a week or two. He’s also planning a cruise to the Bahamas, and then it’s back up to Delaware in the spring for fishing. The flybridge is large with good sightlines, Doherty says. There’s no problem backing down on marlin, seeing the corners, and maintaining speed and direction. Twin C12 Cats, around 700 hp each, power the Henriques 42 on its modified-vee hull. 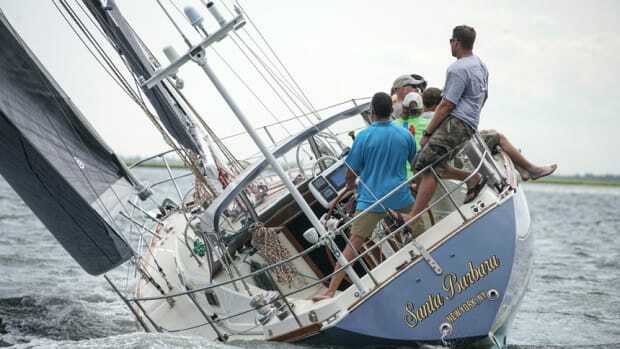 Doherty’s “slow cruise” is around 23 knots at 1,650 rpm. Fuel use is 35 to 36 gallons an hour. At 1,950 rpm, or 80 percent load, the boat runs around 27 to 28 knots. 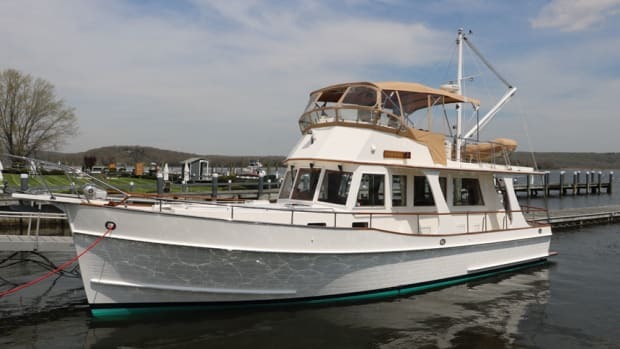 The Henriques 42 Flybridge rides a modified-vee hull built of handlaid, solid fiberglass below the waterline. Divinycell coring is used in the topsides. The bow is high with a moderate flare, while the sheer is long and even to the stern. 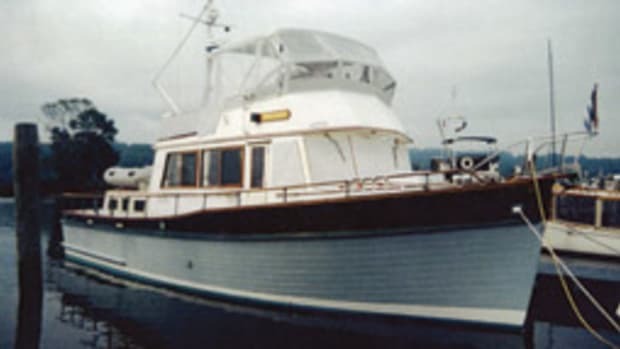 The swept-back wheelhouse has a darkened windshield looking out over the broad foredeck. The cockpit (155 square feet) has a glassed-in plate for a fighting chair. 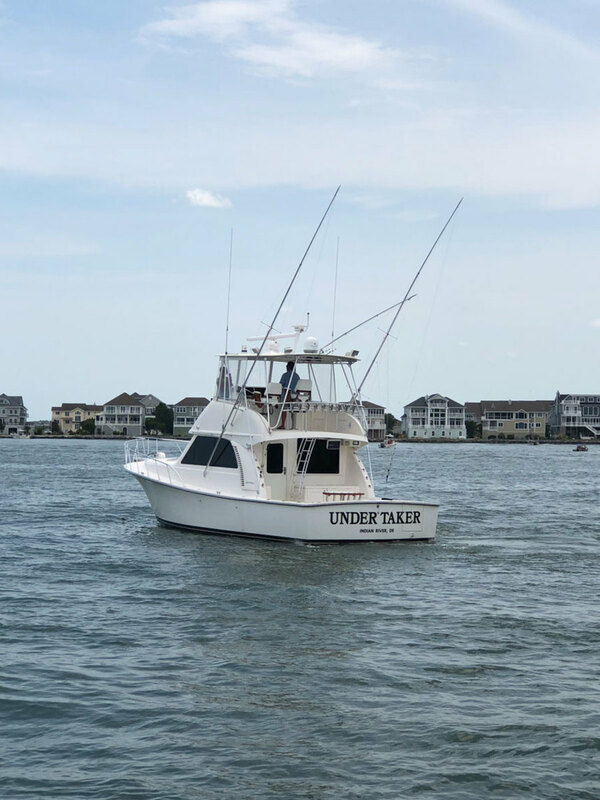 Fishing gear includes a pair of removable fish boxes and a bait freezer, a tackle center with a sink, a walk-through transom door, and stowage for more than two dozen rods. The flybridge helm station, with an electronics console and forward bench seat, affords good sightlines. A walkway abaft the helm and cockpit ladder gives access to the port companion seat. Down below, the standard two-stateroom layout has a dinette to port, an L-shaped lounge to starboard and a galley-down. The master stateroom has an island berth. Standard power comes from twin 700-hp Cat C12s; the engine room allows access for regular servicing. Henriques’ boats are semi-custom, allowing for owner input in layout and propulsion. The Henriques 42 Flybridge made its debut at the Atlantic City Boat Show in the mid-2000s, following on the heels of the Henriques 38. 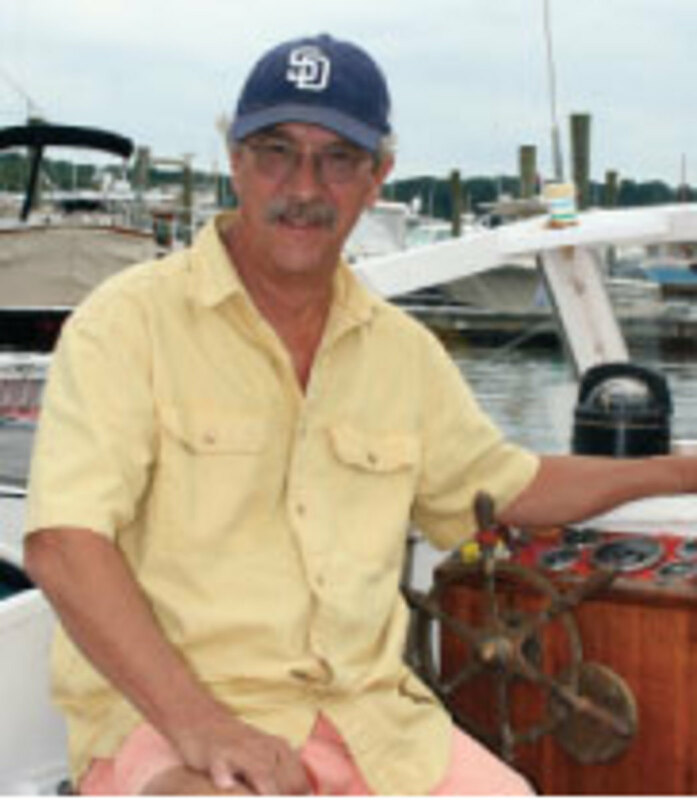 Jack Henriques, company founder, started out in 1977 designing and building semi-custom boats for serious fishermen. 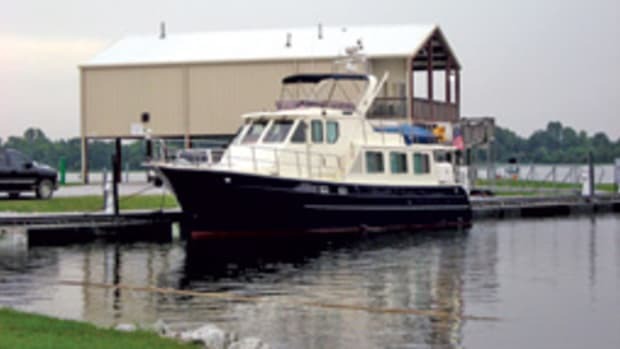 Today, the family-owned New Jersey builder offers express, flybridge and charter models up to 50 feet.